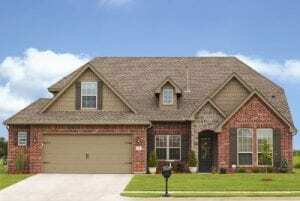 The garage door company of choice among homeowners in Austin, Texas, is 31-W Insulation. We have been serving the home improvement needs of residents across the southeastern U.S. since our founding in 1972, and we continue to provide our customers with top-quality products and exceptional service. Whether your garage door is not working properly, caved in, or otherwise damaged, you can rely on our team to provide you with a brand-new door that will enhance the curb appeal of your home. Our garage doors come from the trusted manufacturer Amarr® and are built for enhanced durability, safety, and beauty. Featuring a steel construction with wind-load resistance in insulated and non-insulated options, Amarr garage doors will last for years and years with minimal maintenance to keep them looking great. Additionally, these doors are designed with flush-mount hinges and pinch protection segments that reduce the risk of finger and hand injuries while the door is in motion. If you’re ready to get started exploring the many options available for your garage door replacement, the company to turn to in Austin, TX, is 31-W Insulation. Contact us today for more information.